Who believes in conspiracy theories, and why are some people more susceptible to them than others? What are the consequences of such beliefs? Has a conspiracy theory ever turned out to be true? The Psychology of Conspiracy Theories debunks the myth that conspiracy theories are a modern phenomenon, exploring their broad social contexts, from politics to the workplace. The book explains why some people are more susceptible to these beliefs than others and how they are produced by recognizable and predictable psychological processes. 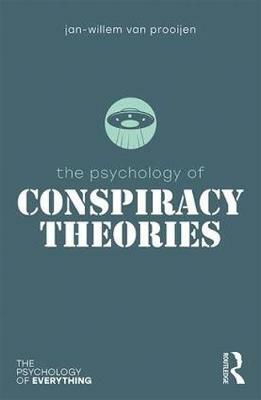 Featuring examples such as the 9/11 terrorist attacks and climate change, The Psychology of Conspiracy Theories shows us that while such beliefs are not always irrational and are not a pathological trait, they can be harmful to individuals and society. Sorry, this item is not in any of our book shops at this time.